Topics: Upcoming Events, Sunday Brunch, The Bar, Images, Catering, and Supper Club. mcsheas.com McShea&apos;s Resturaunt, Bar and Catering - Spring Salad with .. There are 2 Nameservers, ns2.hostmonster.com, and ns1.hostmonster.com. 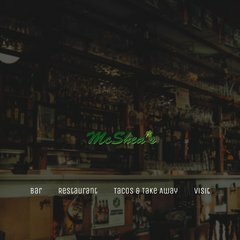 Mcsheas.com's server IP number is 74.220.207.157. It is hosted by American Registry For Internet Numbers (Virginia, Chantilly,) using Apache web server.